Was ramen first introduced to Japan in 1665, 1884, or 1910? Is its precursor a dish known as ūshin udon, Nankin soba, or Shina soba? Depending on the answer, one arrives at a different dish with its own origin story and a distinct historical trajectory producing a particular view of Japan. None of the dish's origin stories are mutually exclusive, but each is a different way of linking the past to the present. It is clear, then, that each story represents a contrast in emphasis rather than a set of fundamentally irreconcilable facts. This is worth noting because, like all questions about origins, the debate surrounding the roots of ramen reveals the difficulties arising from the open-ended search for the true beginning of any food practice. The three distinct origin stories concerning the birth of ramen in Japan that have been established by various authors and institutions are as follows. The first and most imaginative originally appeared in food historian Kosuge Keiko's pioneering study of the history of ramen published in 1987. This version dates the introduction of the dish to the 1660s and designates Tokugawa Mitsukuni (a.k.a. Mito Kōmon, 1628-1701), a legendary feudal lord (daimyō) and second in line to the ruling shōgun, as the first person to eat ramen in Japan. A rich, salty, and steaming bowl of noodle soup, ramen has become an international symbol of the cultural prowess of Japanese cuisine. 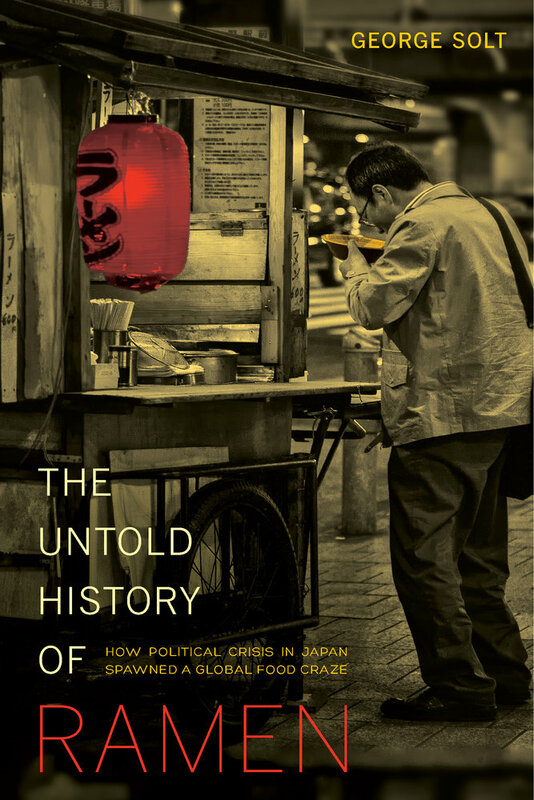 In this highly original account of geopolitics and industrialization in Japan, George Solt traces the meteoric rise of ramen from humble fuel for the working poor to international icon of Japanese culture. Ramen’s popularity can be attributed to political and economic change on a global scale. 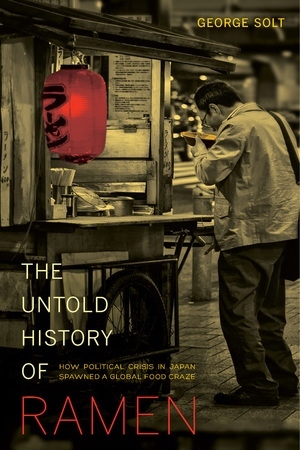 Using declassified U.S. government documents and an array of Japanese sources, Solt reveals how the creation of a black market for American wheat imports during the U.S. occupation of Japan (1945–1952), the reindustrialization of Japan’s labor force during the Cold War, and the elevation of working-class foods in redefining national identity during the past two decades of economic stagnation (1990s–2000s), all contributed to the establishment of ramen as a national dish. This book is essential reading for scholars, students of Japanese history and food studies, and anyone interested in gaining greater perspective on how international policy can influence everyday foods around the world. George Solt is Assistant Professor of History at New York University.